In March, Huawei Technologies Co. announced a series of management changes that went almost unnoticed. Four executives were promoted to deputy chair while one, Liang Hua, was elected chairman of the board. Three of those deputy chairs were also given the position of rotating chairman. Founder Ren Zhengfei remained CEO and a board member, the Shenzhen-based company said in its statement. That little game of musical chairs confuses the leadership structure of the Chinese powerhouse because, as is the case for many Asian companies, these titles aren’t actual job roles. 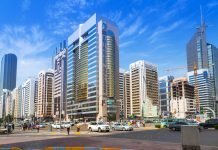 And while it may seem unclear to outsiders, there’s no indication this ambiguity has limited the company’s ability to handle its current crisis. 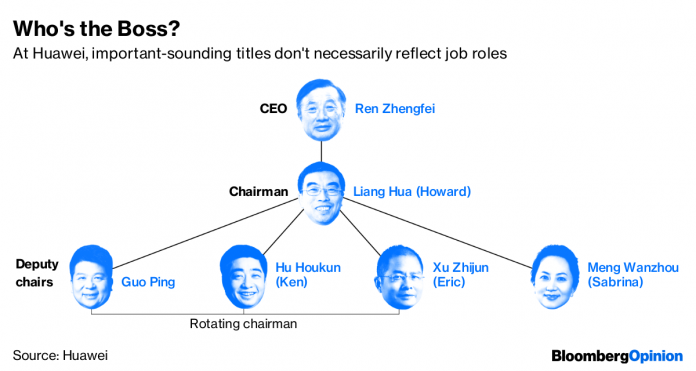 For many years, Huawei rotated the CEO position between three executives – Guo Ping, Eric Xu and Ken Hu – who took charge of day-to-day operations every six months. In the boardroom, they answered to Chairwoman Sun Yafang, who stepped down this year and was replaced by Liang (aka Howard Liang). Running the numbers was CFO Meng Wanzhou, also known as Sabrina Meng. With those March promotions, the four C-level executives were given a more important-sounding title – deputy chair. What it really means, though, is that Huawei has three leaders (or five, if you consider the rotating schedule): Ren, Liang and the rotating deputy. Three of the deputy chairs – Guo, Xu and Hu – take turns to skipper the ship, while the fourth (Meng) sticks to the finance role. Liang, meanwhile, not only chairs the board meetings but becomes a sort of company ambassador, representing Huawei at international events such as a digital-transformation summit in Brazil this June. But Ren is still the boss. 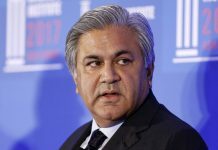 Even that CEO title is somewhat of a misnomer because while the 74-year old remains active in company business, he doesn’t get into the weeds of execution like the deputy chairs. Nor does he take on the ambassadorial functions left to Liang. He does, however, sit on the board and maintains veto power. Not that he’d ever need it. 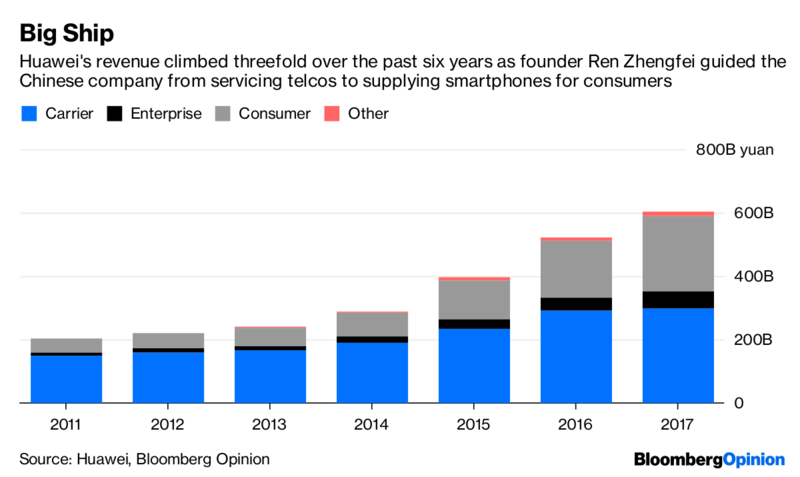 Ren remains the company visionary, and his executive team is attuned enough to his opinions that it’s unlikely to take Huawei down a path that would necessitate him stepping in. His wishes would be followed well before they hit a board meeting. “As he was dissatisfied with his job, he decided to establish Huawei with a capital of 21,000 yuan in 1987,” – Huawei’s bio of founder Ren Zhengfei. Meng’s Dec. 1 arrest and detention thrust Huawei into the spotlight. It also forced Liang to take on the CFO role while Meng, who is Ren’s daughter, remains stuck in Vancouver pending a decision on her extradition to the U.S.
Huawei and Meng are accused of breaching U.S. sanctions against Iran, and of lying to banks about the role of holding companies in those transactions. The political nature of those charges, and the trade war between the U.S. and China, make Huawei the lightning rod for escalating tensions between two superpowers. Huawei may choose to keep its head down and weather the storm. Or it may become more proactive in combating allegations that it’s a tool for Beijing espionage and complicit in installing back doors into telecom networks. Whom Huawei puts forth to deliver that message will say as much about the identity of its leaders as any org chart.